If you’re looking for a lawyer, I don’t advise simply picking the cheapest attorney. You don’t shop for a car that way, so why should you do that for a lawyer? 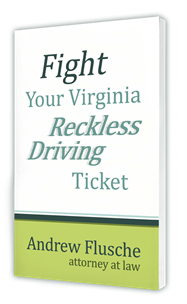 Hello, my name is Andrew Flusche and I’m a Virginia traffic attorney. I know that when a lot of people are looking for a traffic attorney, a lot of people are shopping based on price, and unfortunately, I do talk to people every week who are looking for the cheapest attorney out there. I’m here to tell you that I think that’s a mistake. I would liken it to going to a car dealer and asking for the cheapest car on the lot. I don’t have to tell you that you’re probably not going to get the best car or necessarily the car that’s right for you if you just buy the cheapest car on the lot or the cheapest car in town. There are certainly a wide variety of car choices. But most people don’t shop for a car that way. Most people look at their needs: what kind of things they might need to carry around, how many passengers they are going to need to carry, whether or not fuel efficiency is important to them, whether or not they want a hybrid vehicle, and for a lot of people they look at the style and comfort of the vehicle. A lot of little factors add up to being the vehicle for you. Even all of that may still give you a broad spectrum of possible vehicles and dealers to buy from. You don’t usually end up with the cheapest vehicle. I think hiring an attorney is a very similar process. You really should look at what kind of case you have, where the case is, and start to look at attorneys who handle that kind of case in the court that your case is pending. You want to look at attorneys who do a lot of those cases, and do it regularly. In my opinion that’s very important because those attorneys will most likely have a little bit better relationships with the officers and with the prosecutors. They will also just be more familiar with the outcomes you can expect, and how the judge likes to handle things, and that can help your case. You also want to look at the experience of the attorney in general, their customer service abilities, and how friendly their staff is. There are just many little factors that go into finding the right attorney for you, and frankly, sometimes it comes down to personality. It’s an element that’s hard to put a finger on, but does the attorney feel right when you talk to them? Do they click with you? For all those reasons, I think starting out at price is just not the best answer. You certainly deserve a reasonably priced attorney, so I’m not saying to pay the most. That would be the same as going to buy a car and just asking for the most expensive car. You really need to look at what’s important: from the features, the benefits, and the things that will really matter to your case, to working with the person and getting the outcome that you’re looking for. That’s the way that I suggest looking for an attorney, not just based on price, but looking at the overall landscape the overall case. So if you want to talk about your case, give me a call.